One of the biggest selling hair tools of the past few years has been the hair straightener or iron, as women around the world have tamed their natural curls and texture to suit a long layered straight style. Recently though, tongs and curling irons have been inching their way back into the bestsellers lists as curls have been making a comeback. It’s a truism that we always want the type of hair we don’t have. People with straight hair want curly hair, people with curly, textured hair want straight hair and people with no hair, well… just want some hair! A decent hairdresser should be able to work with a client and give them the best cut that suits their face, while working with the texture they already have. The good news is that curls and textured hair are back, and MHDPro has the perfect online hairdressing course to show you how to work with it! Before you begin, we recommend you get some inspiration from celebrities with natural curls and textured hair. They may change their look every other day – such is the demand for new Instagram content – but we love how their natural hair looks, when we can find it! To this end I’ve spent an entire day Googling some of the biggest stars to find their natural hair, so you don’t have to. Finding a photo of Beyonce’s natural hair is practically impossible, even her childhood photos and early Destiny’s Child shots vary from relaxed and straightened hair to loose curls to ringlets to plaits! The best we can estimate is that Beyonce has naturally loose curls, as seen in the car park dance scene is the Formation video. Rihanna changes her hair as often as she changes her underwear. Rihanna’s natural textured hair appears to reflect her Bajan roots though, with beautiful natural curls, as seen in Glamour in November 2013. Love her or loathe her, it’s impossible to avoid Kim Kardashian or any of her tribe. When she’s not shopping or spending hours in the stylist’s chair having her hair and make-up done, she’s on Instagram posting about it. Apparently, she also has time to make a TV show mainly about… erm… shopping, having her hair and make-up done and posting on Instagram. Anyway, according to her hairstylist Chris McMillan – who probably knows her better than most – Kim Kardashian’s natural textured hair is thick and wavy, a bit like her other assets. This photo from October 2007 shows off Kim’s natural hair to a tee. Like Beyonce, Selina Gomez has hidden her natural hair from the world for years. She’s straightened it, added extensions, and even fooled people into thinking she had a bob, when it was in fact a wig. This Instagram post from 2014 shows Selina Gomez’s naturally textured hair with curls and festooned with those adorable baby hairs around the hairline. Ariana Grande’s natural hair texture is a far cry from the slick ponytail she’s known for. In an Instagram post of 2015 she showed off her naturally textured hair, and recent styles have seen her working more with her natural curls and texture. Back in the days when she was a country singer, Taylor Swift rocked the good ole’ girl Nashville curly hair look. As she became more mainstream and pop, so her hair straightened to fit into the pop bubble that surrounded her. When she occasionally returns to curly textured hair, the world goes mad for it and she’s guaranteed a viral surge of popularity. Like the other pop stars on the list, Taylor adjusts her hairstyle more than she adjusts her G-string… on her guitar… as she’s writing another ditty about someone who’s dissed her, or something. So now the biggest stars on the planet have revealed their textured hair secrets, maybe it’s time to ditch the straighteners and the Kerastase and persuade your clients to embrace their curls and celebrate their natural hair. Get some tips from our blog about working with naturally curly and textured hair. 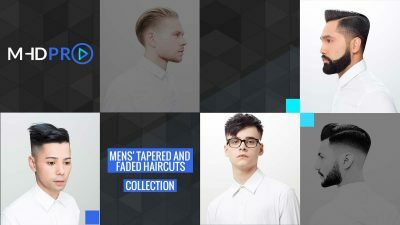 At MHDPro.com we have developed the perfect advanced haircutting course for clients that wish to enhance their natural curls and texture for low maintenance, fashionable looks. 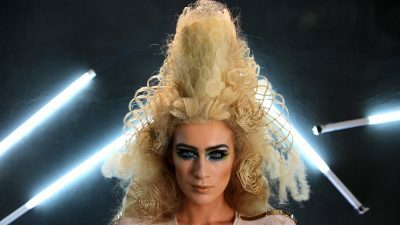 Visit our Curls and Texture online haircutting course now. On completion, you can download your CPD Certificate of Recognition. Offer ends 30th September 2017. Terms apply.